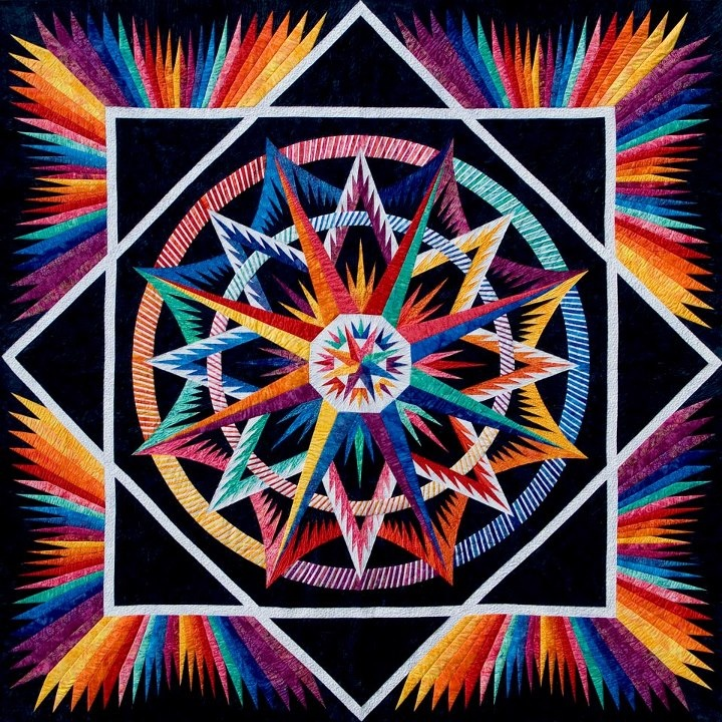 This is a Technique of the Month class, taught over six months, designed to teach the simplicity of foundation piecing while making this beautiful heirloom Quiltworx design. It is suitable for confident beginners to advanced quilters. There are no Y-seams in this quilt and mostly straight line sewing. Incorporating many techniques that are used in Judy Niemeyer's current patterns, the Mariner's Compass will teach the skills necessary to successfully continue to create other paper pieced patterns. Traditional piecing and curved piecing techniques are used to join and assemble the units after the foundation piecing is completed. Choose a wall quilt (69" x 69") or add the queen extension (98" x 98").